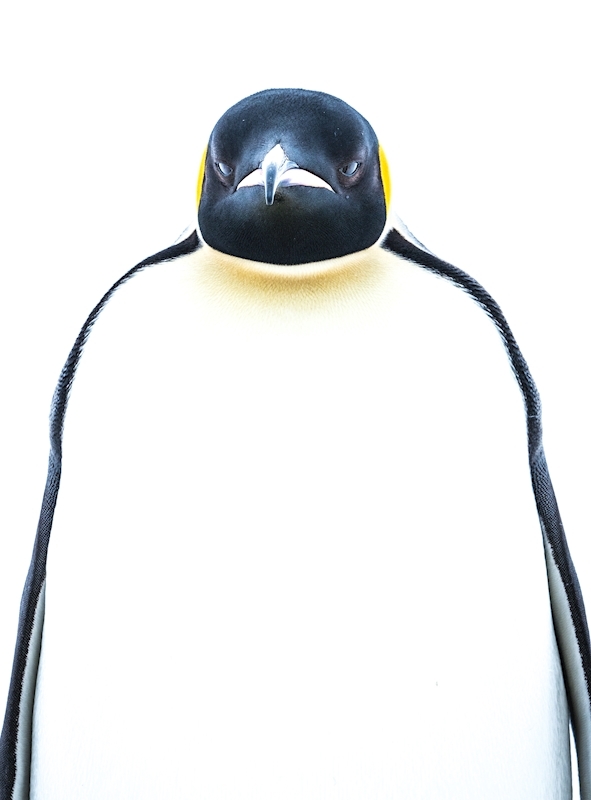 The Emperor Penguin is the largest of all penguin species. The largest males weigh 45 kg which is 30 kg more than the second largest penguin. The Emperors are also the most curious of all penguins and a photographer probably looks like a large penguin in the all white icy landscape. Perhaps this is why this one came to investigate me thoroughly.